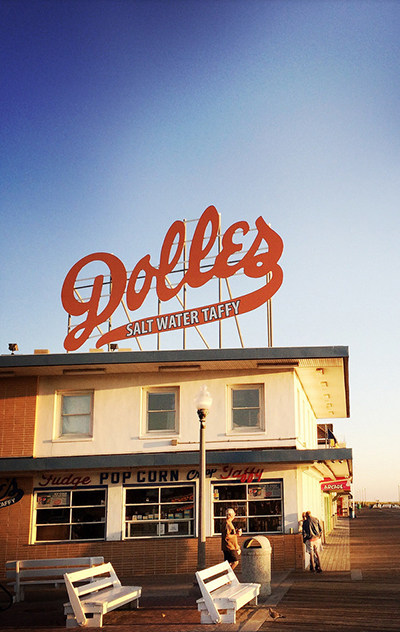 These Ocean City boardwalk businesses are synonymous with summer. While there’s been a sea change in culinary options along the Delaware and Maryland beaches, the boardwalk is like an old friend. 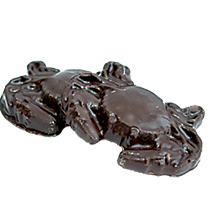 So, when we’re tired of fussed-over fennel salads and camera-ready plates of slow-roasted salmon, seaside staples such as Old Bay popcorn and chocolate-covered crabs are always there for us. 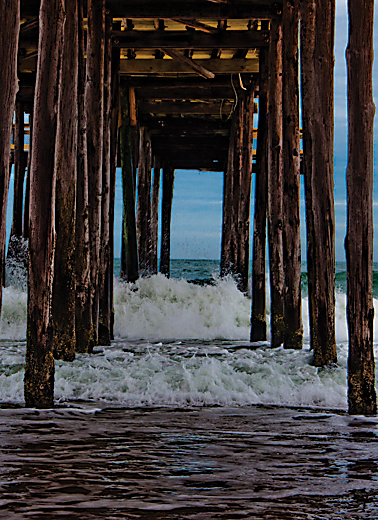 In ever-fickle beach towns, restaurants tend to come and go with the tide. But these boardwalk businesses—357 years old, in total!—remain constant. What explains their enduring appeal? Maybe it’s the salt air that makes us crave things both salty and sweet. Or maybe it’s that, without sun, sand, surf, and soft-serve, it just wouldn’t be summer. The Ocean City boardwalk was first built in 1902 as a temporary convenience for oceanfront hotel guests to walk along the waterway or get to the beach. At high tide, it was rolled up and stowed away on hotel porches. In 1910, a permanent walkway was built. It was expanded to its present 2.5 miles after a March 1962 storm washed it out to sea. Don’t look for pizza or hot dogs at this classic fry stand with a trio of Ocean City boardwalk locations and a line down the block. At Thrasher’s, the only game in town is spuds. The recipe, unchanged since its opening by J.T. 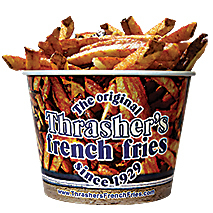 Thrasher in 1929, is closely guarded but includes Idaho potatoes fried in peanut oil and topped with apple cider vinegar. To date, the business has stayed in two families over five generations. “A Thrasher’s French fry is what every potato wished it could be,” raved one fan to Urbanspoon. In this day of unconventional ice-cream flavors such as bubble gum and strawberry cheesecake, stick with the classics at Dumser’s, an OC beacon since 1939. 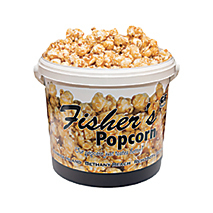 Whether served in a stainless or paper cup or a sugar or waffle cone, flavors such as butter pecan, coffee, and plain old vanilla allow the creamy, dreamy deliciousness of the dairy to shine through. Dumser’s claim to fame is that it’s served within minutes of being made. Best Bite: Skip Starbucks and get yourself a scoop of coffee ice cream made with real java and none of that artificial flavor. 601 S. Atlantic Ave.